In our house (and, I suspect, in many homes where a toddler resides), sleep is everything. My 2 year old’s room is equipped with blackout shades that keep it dark, even on these bright summer nights, not that it stops her from waking up at 6am every day. Lately, though, she seems a bit scared of the dark, so I think a nightlight may be in order. I haven’t decided yet whether I want to make one myself, or if I should just click buy and be done with it. Either way, I’ve got some pretty great options–look at my list of finalists! 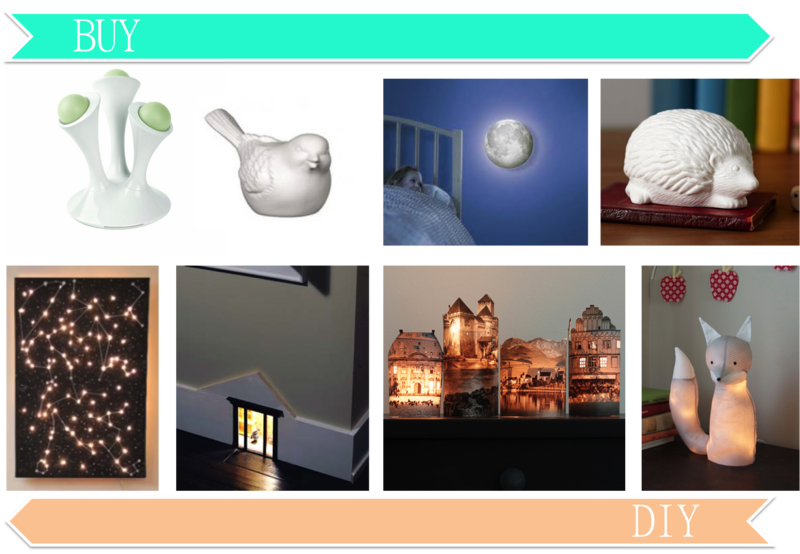 DIY Starry Night Nightlight – This could be customized for her sign! Tiny Mouse House, You’d have to get this installed, but can you even imagine how adorable?? Foxlight, This is just too much cuteness. Seriously. ← Does Clutter Stress You Out?